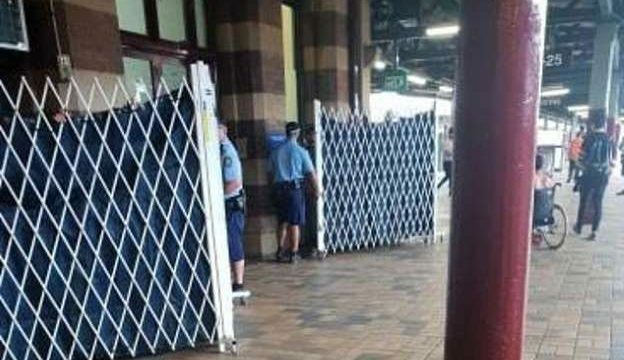 On Wednesday March 13, photos emerged on Facebook that showed NSW police officers on a platform at Sydney’s Central station at 2.25pm, accompanied by sniffer dogs and with strip search tents set up on the side of the walkway. And while it’s unclear whether police arrested anyone on the day, the data makes clear that the majority of searches result in nothing being found. And the odd joint or bud that the 2006 Ombudsman report noted is being detected certainly doesn’t warrant this repugnant humiliation of citizens. Statistics obtained in NSW parliament in July last year revealed that the employment of strip searches following a dog indication had doubled from 590 in 2016 to 1,124 in 2017. And these searches resulted in no illicit drugs in 64% of cases. Over the last four financial years, the use of strip searches in NSW has surged by close to 47%. In 2014-2015, officers carried out 3,735 strip searches, while in 2017-2018, 5,483 citizens were told to remove their clothes in front of uniformed officers carrying guns. And the routine use of strips searches has been shown to be as fruitless as the average drug detection dog operation. Following asking people to remove their clothes, police are finding no illegal items or illicit substances on average 64% of the time over the last four year period. Along with these startling figures there were a number of other developments regarding the use of strip searches last year. The state’s police oversight body, the Law Enforcement Conduct Commission, announced in October that it’s investigating claims some officers have been abusing their powers. November saw Aboriginal Legal Service Western NSW deputy principal solicitor Emily Winborne report that she was aware of instances of officers searching Aboriginal children as young as 11. And in certain cases, the protocols set out in the legislation weren’t being followed. And a fortnight ago, Lucy Moore posted about her strip search experience at the Hidden festival on March 2. The Newcastle woman detailed how she’d been taken into a tent with the door still half open and asked to take her clothes off, squat and cough. While Sniff Off has been leading the outcry against police use of drug dogs without a warrant in public places, there are many more groups calling for an end to their use. Harm reduction organisation Unharm has long been calling for the dogs to be ditched. Australian Drug Law Reform Foundation president Dr Alex Wodak has been a firm critic of this “uniquely Australian” practice, while the NSW Council for Civil Liberties has been calling for an end to sniffer dogs since the release of the Ombudsman report. “It’s almost as though the police are saying to civil society, ‘Well, it doesn’t matter what you say. It doesn’t matter about the principled opposition you put forward. We’ve got the government in our back pocket, and we’ll do whatever we like,’” Mr Shoebridge concluded.